Let the sun shine in! Experts say women aren’t getting enough vitamin D, an essential vitamin that helps the body absorb calcium and has been shown to decrease the risk of some diseases. More and more studies are showing how important vitamin D is to women’s health — and that many women aren’t getting enough of this essential vitamin. Though you can up your levels through both your diet and supplements, soaking up a little sunshine is the best way to get vitamin D. But we’re also told to limit our time in the sun because of the damage it can do to our skin — so what gives? You can get your daily dose of vitamin D and protect your skin, too, so you don’t have to sacrifice any aspect of your health to give your body what it needs. Vitamin D promotes the body’s absorption of calcium, a mineral that helps keep bones and teeth strong. Vitamin D also regulates the body’s calcium levels in the blood, as well as levels of the mineral phosphorus, which also helps to promote healthy bones and teeth. Vitamin D deficiency can be serious, causing bones to deteriorate and weaken. In adults, a vitamin D deficiency can lead to the bone condition osteoporosis and, in children, it can cause rickets — soft and weak bones. Although more research is needed, vitamin D also appears to have many other beneficial effects. Studies have shown that vitamin D in sufficient levels can help boost the immune system and possibly decrease the risk of getting some cancers. The body produces vitamin D, but it needs sunshine to do it right. You can also take a vitamin D supplement or get vitamin D from certain foods. So just how much vitamin D do you need? It depends on your gender and age. Get too little vitamin D, and you’ll feel the effects of vitamin D deficiency. Too much of it — and your blood can contain too much calcium, harming your lungs and heart. Many physicians are now testing vitamin D levels in their patients and finding that many women (and men) have low vitamin D levels. If your level is low, your doctor may recommend much higher supplement doses, often 1,000 to 2,000 IU a day. To get enough vitamin D from the sun, you need to spend about 5 to 15 minutes in the sun, just three times each week, without sunscreen. Too much sun exposure can cause sunburn and increase the risk of skin cancer, so make sure you limit your exposure. Also, you can expose your arms and legs, but you should always protect your face with sunscreen. If you don’t feel safe in the sun, turn to your diet and a vitamin D supplement to get the vitamin D you need. Remember that you still need vitamin D in the winter. For many people, especially those in northern climates, it’s hard to get enough sun during those months, and a supplement may be necessary. African-Americans and others with darker skin tones may also be less able to absorb enough sunlight for sufficient vitamin D production from the sun alone. One of Vitamin D’s main roles is to help ensure that your body can absorb calcium, but you’ve also got to make sure you’re getting enough calcium so that vitamin D can do its job. 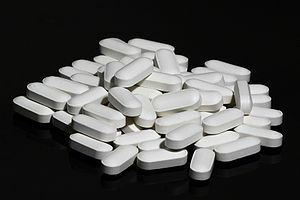 You should try to get between 1,000 and 1,200 daily milligrams of calcium through diet or supplements (calcium supplements are available with vitamin D, enabling you to get both in one pill). Vitamins, including vitamin D, are an important part of women’s health. But still, be careful to limit unprotected sun exposure and to get enough dietary vitamin D or take a vitamin D supplement if you want an alternative to the sun. This entry was posted in Articles, Sunshine, Supplements, Vitamin D and tagged Health, Nutrients, reno fitness, reno personal fitness trainer and nutrition coach, reno personal trainer Clifta Coulter Perez, sunshine and vitamin D, Vitamin D, Vitamins and Minerals. Bookmark the permalink.